Boris, funny you should message me that comment as we were just putting the finishing touches on an old chart that I dug up from my database. It was a Reuters chart from a half dozen years ago that showed the 3-month return of U.S. stocks versus bonds versus the G10 Economic surprise index. 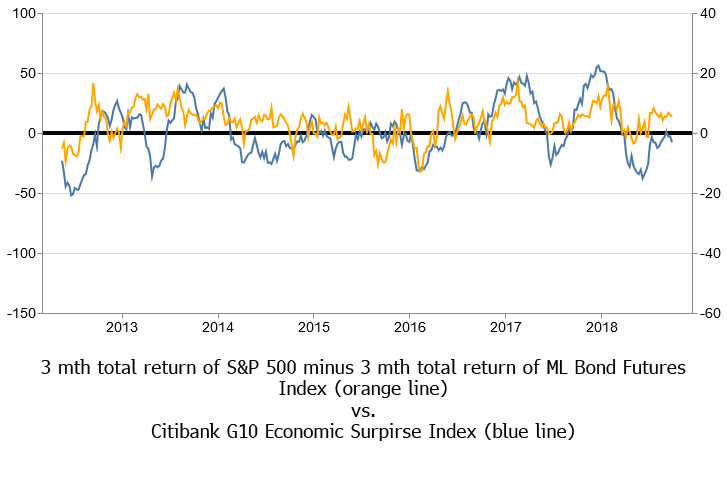 It took some work to recreate, and we weren’t sure which bond index they were using, so we settled on the Merrill Lynch Total Return 10-year bond note index (it’s clean and replicable, so we figured it was as good as any bond index). The relative performance of US stocks versus bonds seems to be directly correlated to the amount of under/over performance of the G10 economy versus expectations. 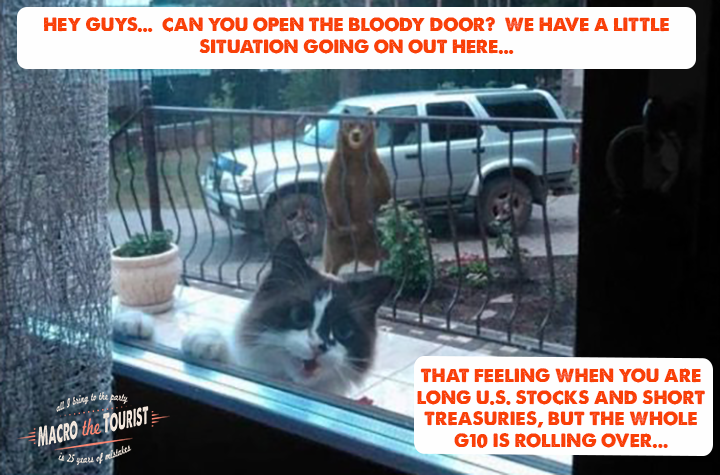 So if Boris is correct, and the G10 economy slowdown accelerates, we should expect U.S. stocks to sag versus bonds (the exact opposite of what we have experienced over the past six months). But what has this chart looked like since 2012? Maybe that was just an anomaly coming out of the Great Financial Crisis. 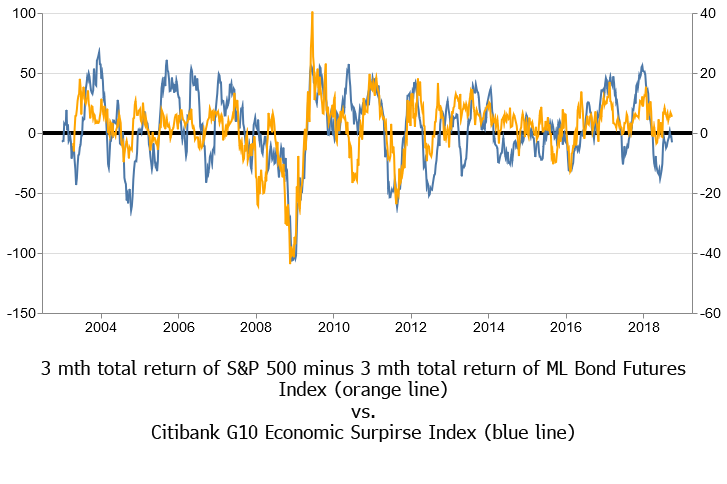 I know I am already guilty of committing a chart crime by having two Y-axes (want to lose your quant “cred”? 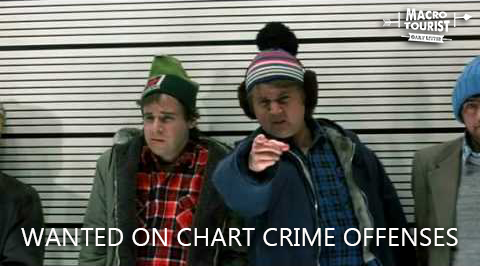 Simply show them my chart and tell them how much you like it), but if we made a new chart using a fresh scale, then I would be doubly guilty! 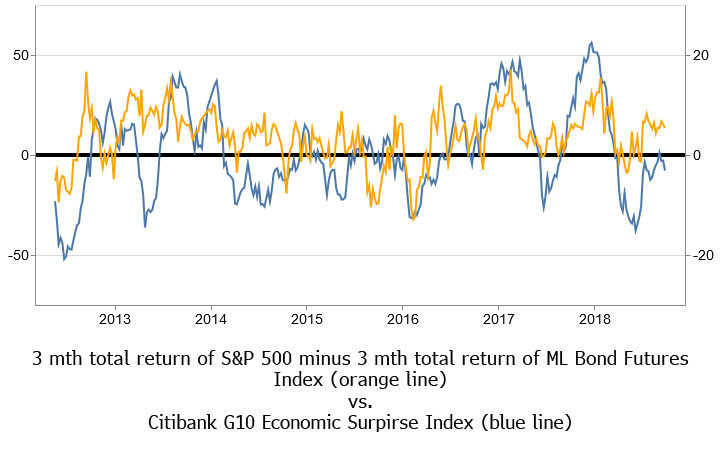 The astute reader will notice that the relative performance of stocks versus bonds seemed to stop following the G10 Economic Surprise index from 2014 to 216, but maybe that was due to the economic index hovering so close to zero during this period. When the Citibank G10 Economic Surprise Index pushed up in late 2017, U.S. stocks definitely outperformed bonds. 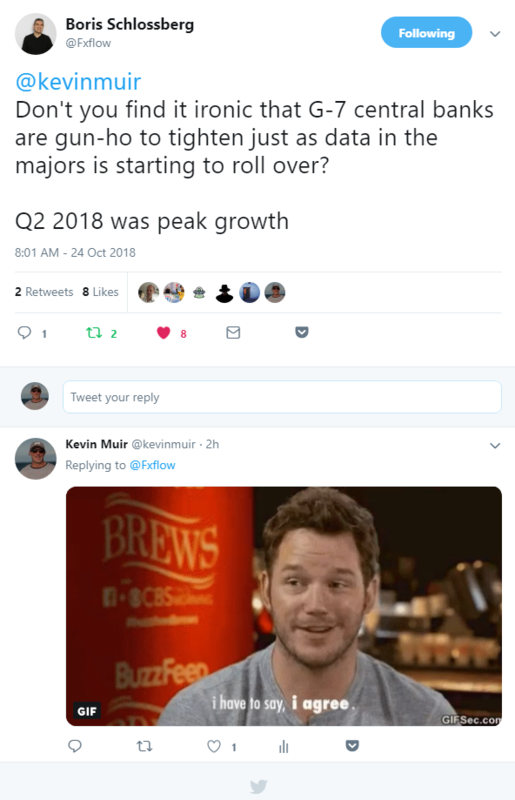 The takeaway from all these charts? Although America is attempting to become more of an economic island onto herself, the global economy probably dictates much more than most market pundits would like to admit.